You can help by selecting items from the “Wish Lists” of our different programs. These items are either given directly to the clients, or they provide a more comfortable or enriching experience for our clients as they participate in our programs and shelters. For more information about our Wish Lists, contact us at 402-552-7418 or InKind@HeartlandFamilyService.org. 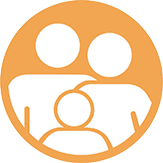 The Heartland Family Service Family Works program is a long-term (6-9 months) residential substance abuse and mental health recovery initiative for women with children in southwest Iowa and east central Nebraska. The program helps to preserve and strengthen the mother-child bond while providing housing, treatment, therapy, and support for the women and their dependent children. The Heartland Family Service Generations Center supports the recreational, social, and nutritional needs of low-income senior citizens in our community. Our center offers a variety of activities including classes, speakers, movies, discussion groups, exercise sessions, excursions, and parties, which are scheduled regularly every month. Seniors can gather for cards or bingo, and even have the option to go the grocery store. A nurse is available once a week to offer medical services and answer questions. 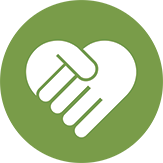 The Heartland Bridges program provides short-term housing for people in transition to and from mental health or substance abuse treatment, support services, and/or the justice system. The goal of the program is to help clients secure permanent housing and connect them with community-based services. Program staff are available 24 hours at the facility for resident oversight and assistance. The facility offers 15 beds, a kitchen, laundry room, and living room. Homeless Street Outreach services are offered to individuals who are street homeless (living on the streets, in abandoned buildings, cars, etc.). Street outreach is conducted on a weekly basis in Omaha and Council Bluffs, in coordination with other agencies. 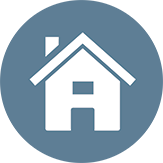 Indicatives are designed to assist individuals in locating permanent housing and gaining accessing to those experiencing homelessness are provided with assessment and case management services. Addressing emergency basic needs such as food, clothing, blankets, etc. Integrated Health Home is a service for better coordinated holistic healthcare. Heartland Family Service; Alegent Creighton Health; Children’s Square, U.S.A.; and Magellan Behavioral Care of Iowa are working together to establish innovative strategies to provide you with holistic care that focuses on your wellness. It is a way of caring for your total health. The Jefferson House Children’s Shelter and Group Home provides emergency shelter care and group home services for children in the city of Fremont, NE, and surrounding communities. The children benefit from community-based services that allow them to attend their home school and continue to be near familiar people and surroundings. The well-trained professional staff offers a therapeutic program to help children get through their traumatic experiences. Heartland Family Service One Oak therapeutic school provides Alternative Education and Intensive Outpatient Programing (IOP) to young adults/teens in our community. Services at the Heartland Family Service Safe Haven Emergency and Transitional Shelter are provided to victims of domestic violence as a means of protecting victims from the threat of further abuse. Residents may stay up to two years while they stabilize their living situation. Safe Haven residents are assisted by program staff to develop short and long -term planning goals such as securing employment or other financial assistance and seeking permanent housing.